Q: Do I really need to drink eight glasses of #water every day? A: No. According to a key review in the “Journal of Physiology” by Heinz Valtin, M.D., a kidney and hydration expert and professor emeritus at Dartmouth Medical School in Hanover, N.H., there is no evidence to support the necessity of #drinking eight glasses of water each day. So how much water do you really need? According to the Institute of Medicine of the National Academies, women should consume 91 ounces of water a day, and men need 125 ounces — a good deal more than the 64 ounces (8 cups) generally recommended. Here’s the catch: We get most, if not all, of that water without heading for the tap or uncapping a bottle of Evian even once. The main reason? We get the water we need from a variety of sources, including food and other liquids. Vegetables and fruits are the most hydrating, with such veggies as lettuce coming in at 95 percent water. But we also get a lot from meat, as well as liquids like soup, juice, soda, milk and even coffee. So while our water intake does need to be fairly high, it’s a safe bet that as long as we’re eating and drinking something, it will be as high as it needs to be. A: “That depends on a myriad of factors, including body size, sweat rate, amount of activity and environment,” says Douglas J. Casa, Ph.D., A.T.C., F.A.C.S.M., director of athletic training education and associate professor of kinesiology at the University of Connecticut at Storrs. “In a desert, a person could die in a day, while those in ideal situations and climates could potentially live without water for two weeks,” says Valtin. A: No. “If you are thirsty, you are underhydrated, not totally dehydrated. 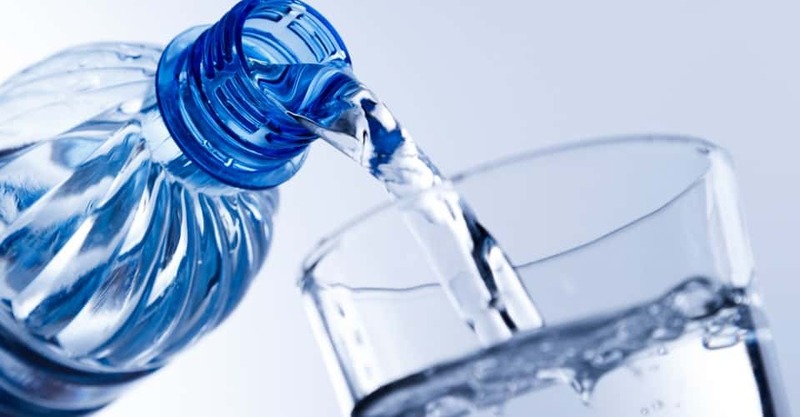 Thirst is a signal that your body would like more fluid,” says Nancy Clark, M.S., R.D., Boston-area sports nutritionist and author of “Nancy Clark’s Sports Nutrition Guidebook” (Human Kinetics, 2003). Hydration is measured by blood concentration (e.g., the concentration of sodium in your blood) — the higher the concentration, the more dehydrated you are. When this concentration increases by just 2 percent, you get thirsty. “Thirst is a warning mechanism, letting you know that dehydration is lurking around the corner. But to escalate to actual dehydration, the blood concentration must rise by 5 percent,” says Valtin. Rice also points out that, “Although body temperature doesn’t start to rise dramatically until one is a little further dehydrated, deficiencies in athletic performance are detected very early in the process.” So, thirst is no cause for worry, but if you’re an athlete, it’s important to drink during activity. What about “storing” water (i.e., drinking a lot before you go out and sweat)? “That doesn’t work,” says Valtin. “Most liquids we drink will be out of our bodies within a half-hour. You can’t store up your liquids.” So grab a glass of water when your body signals thirst, but don’t force yourself to chug a gallon to ward off thirst you don’t feel — because it probably won’t help. A: Sometimes. “Sports drinks are designed to be taken during exercise that lasts for more than an hour. They contain a little sugar to fuel the muscles and the brain, as well as a little sodium to enhance fluid absorption and retention,” says Clark. Sports drinks are helpful for athletes such as marathoners and cyclists who need to rapidly absorb fluid to reduce their risk of becoming dehydrated from heavy sweat losses. “Construction workers and school kids have no need for sports drinks in their lunchboxes. Water can rehydrate them just fine, and the salt in their lunchtime foods (e.g., pretzels, ham, cheese, mustard, etc.) can replace sodium losses,” says Clark. In fact, a preliminary study conducted at the Center for Human Nutrition in Omaha, Neb., found no difference in hydration between subjects who drank caffeinated beverages and those who drank beverages without caffeine, suggesting that either the diuretic effect of caffeine is not overwhelmingly significant or that the amount of water in caffeinated drinks compensates for the liquid that is leached from the body (remember, both coffee and tea are 99% water). “People who are used to drinking caffeinated beverages get accustomed to the caffeine and do not urinate more fluid than they consume via their coffee or tea,” adds Clark. Q: Do we need to get our hydration from a variety of sources? A: “It’s not necessary. Your body will get the water it needs from what you consume,” says Casa. A: “There’s no real evidence of this. However, people often mistake thirst for hunger, which means you could be eating food when you actually don’t need it,” advises Clark. So how can you tell the difference? Finish off a tall glass of water when you feel a snack attack coming on, and then decide if you still need some food after that. Nevertheless, extensive research completed by Barbara Rolls, Ph.D., a professor of nutrition at Penn State, found that eating soup and other liquid-based foods at the beginning of a meal helps reduce hunger. A: No. “The reasons that cooled liquids (55 degrees Fahrenheit) are recommended for rehydrating — specifically for athletes — are several-fold, including the facts that they empty the stomach faster than room-temperature fluids, cool the body down a little and may increase the willingness to drink,” says Rice. A: According to Rice, you definitely can ingest too much water — resulting in hyponatremia (water intoxication). 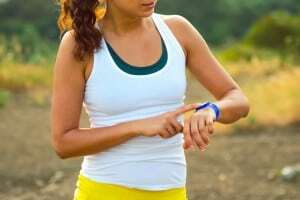 “This is most commonly seen in marathoners who run so slowly that they don’t generate much temperature rise or sweat yet are drinking water excessively,” says Rice. But don’t worry. Someone who is healthy couldn’t really get to this point, says Valtin. Though reluctant to give an exact number, he estimates that it would take almost 15 liters of water for most people to reach hyponatremia. Q: If you’re very thirsty, can you drink salt water? A: No. “In order to gain true water balance from drinking sea water, we would have to excrete the salt and retain true water, and our organs cannot do that,” says Valtin.